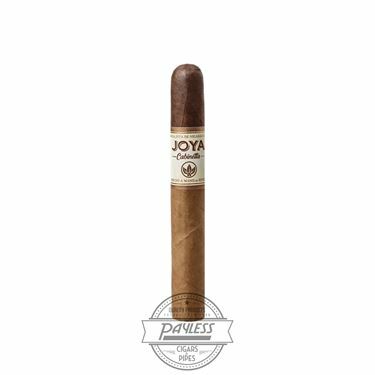 JOYA Cabinetta is the third cigar in the modernized JOYA collection by Joya de Nicaragua Cigars. The cigar is technically older than the first two cigars in the series (JOYA Red and JOYA Black), but was recently revamped to turn the two-part series into a full trilogy! 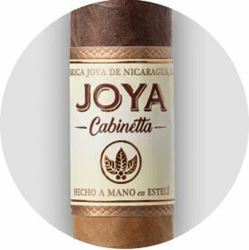 Essentially, Joya de Nicaragua has taken the mild blend of its Cabinetta Serie and transformed it to appeal to the modern enthusiast. A signature of this cigar has always been its unique "Doble Capa," where the cigar's wrapper transitions from light to dark underneath the band. 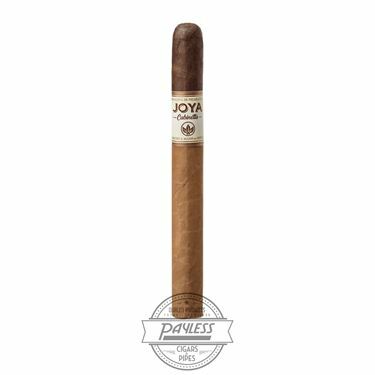 With the updated JOYA Cabinetta, there is now much more of the secondary (dark) criollo wrapper. What this means for the consumer is a more noticeable transition when smoking; where flavors shift from smooth, mild, and creamy, to spicy and robust at the tail end of the smoking experience.